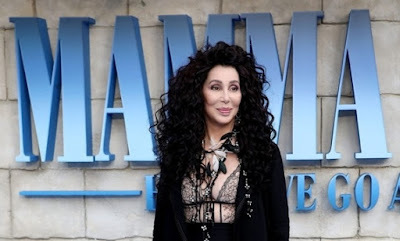 VJBrendan.com: Cher's Next Album Will be an Entire Album of ABBA Covers!! Cher's Next Album Will be an Entire Album of ABBA Covers!! Cher will be releasing a full album of ABBA covers. The announcement, which she made during the Today Show, follows her role in the sequel film, Mamma Mia! Here We Go Again, where she plays Ruby, the mother of Donna (Meryl Streep) and Sophie’s (Amanda Seyfried) grandmother. “After I did ‘Fernando’ [in the movie] I thought it would really be fun to do an album of ABBA songs, so I did,” she told Today. Though she didn’t provide details on when the LP would be released, the singer revealed that she didn’t take a straightforward approach to her renditions. “It’s not what you would think of when you think of ABBA, ’cause I did it in a different way,” she explained.